Surprising someone can be a lot of fun and often very fulfilling, however there may be no better feeling than when you surprise yourself. I had already done that a few times in 2015 but really didn't think that the Highlands Community Fun Run on the 15th of March was going to be one of those occasions. I had set myself just a couple of goals for 2015. One was to run 1000km which I should do easy. Another was to break 25 minutes for 5km, something that I thought would take a long time, I achieved that on February 14th. Another goal was to run 10km at least once, I have also done that on multiple occasions. My only other goal was to enter as many events as I could, when time permitted. Leading up to the Highlands Community Fun Run, I had discussed with my partner the need to possibly reassess my goals now that I had achieved them. I had mentioned 24:30 for the 5km as a good starting point given that I had only improve nine seconds to get it to 24:38. I thought it would take a good run to beat it. Heading into the fun run, I wasn't feeling fast or overly ready to run well. My warm up was pretty good but I was far from jumping out of my skin. Once we got off and running, I had decided I was going to push early and try to maintain the pace. I had fallen apart a little in the final kilometre of my best run so maybe, just maybe, I could do better. The first kilometre had a sharp downhill section and, being an out and back course, I was dreading going back up it at the finish. I covered it in 4:36 which was somewhere around where I wanted to be. 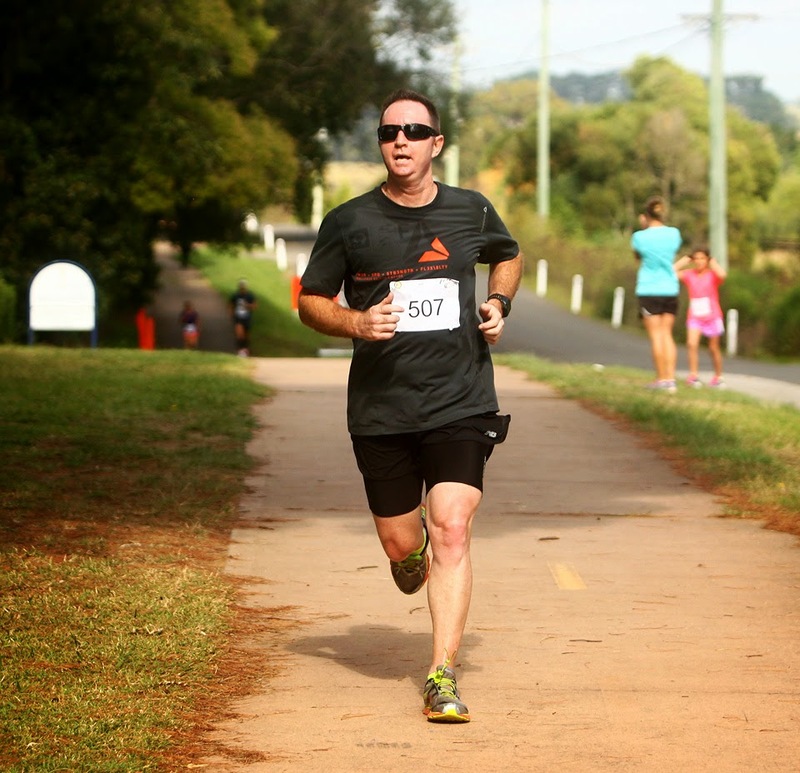 I pushed on in the second and third kilometres, producing 4:46 and 4:54. I was still feeling good and ran 5:00 for the fourth. I felt like I had enough up my sleeve to give the last kilometre a good crack, despite the hill. I concentrated on my form and cadence and was happy to churn out a 4:39. Looking at my watch I was most surprised to see 23:59, especially after stopping it a little late. It was the first time that I had felt I had run the full 5km with no lengthy flat spots. Sure there is lots of areas I can improve in but this was a major step in the direction of where I wanted to be. Maybe I did still have some decent time to shave off my PB, especially if I could finish races off like this consistently. I will get another chance this coming Sunday at Parramatta when I run in the Sydney edition of FunRun Pink, the same event that I ran at Albert Park in January. It should be a lot of fun. Running - 30.5km in 2:59 with an elevation of 153m. Cycling - 99.4km in 4:11 with an elevation of 920m.